ARTnews contributor Stephanie Strasnick recently set out to find the most fantastic outdoor art installations that New York City has to offer. She describes her findings as “funky, surprising, and selfie-worthy,” providing all the information to help you find everything from psychedelic pink flamingos to a three-legged Buddha and more. Keep reading for some of Strasnick’s best picks for outdoor art installations to check out this summer in the Big Apple. If you’ve never been to New York City’s sprawling stretch of elevated parks, artworks, and walkways, aka the High Line, going there this summer to check out Faith Ringgold’s massive mural Groovin High might just be the perfect opportunity. 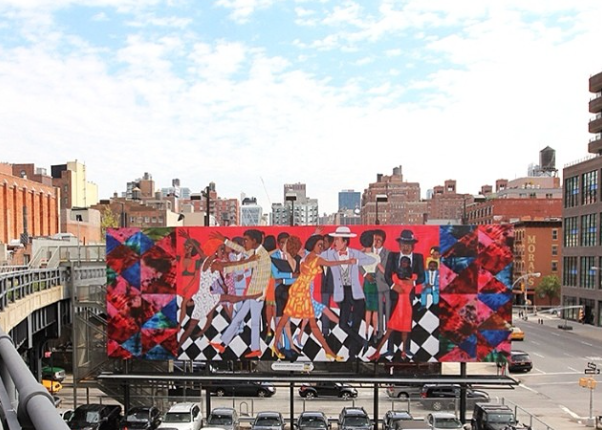 The billboard-sized Groovin High is a reconfiguration of the artist’s 1986 story quilt of the same name, and can be found on the High Line at 18th Street and 10th Avenue. From now through December 5th, you can feast your eyes on acclaimed artist Danh Vo’s incredible public work, We the People, located at the Brooklyn Bridge Park and City Hall Park. According to Strasnick, “Using X-rayed images of the Statue of Liberty that were taken for security purposes after September 11, Conceptual artist Danh Vo constructed 250 scale replicas of parts of Frederic Auguste Bartholdi’s original landmark.” You can find reconstructed pieces of the statue’s ear, dress, crown and more, hidden whimsically within the parks’ greenery. You already know that Socrates Sculpture Park is one of the best places to experience major art installations while soaking up the sunshine, and this summer is no exception. 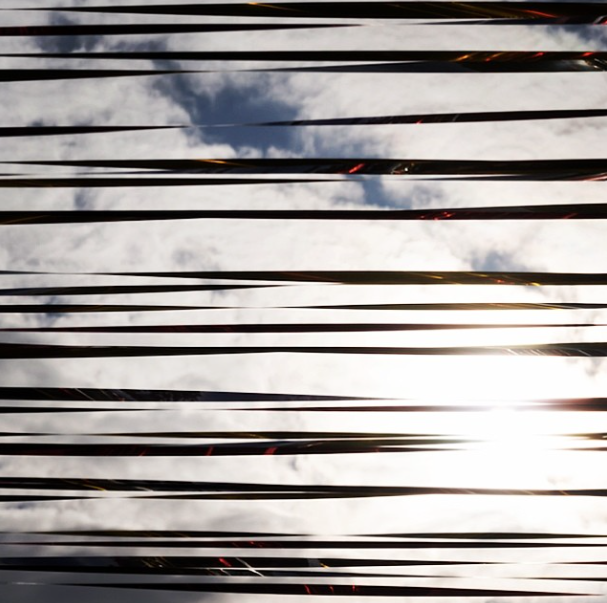 Scarecrow, created by artist Žilvinas Kempinas is the Sculpture Park’s largest work to ever be installed there to date, and consists of mirrored, stainless-steel poles that raise a web of silver ribbons overhead. A site-specific installation, Scarecrow will change the landscape around it at any given time of the day because of the surrounding elements – one of the best things about outdoor art installations like this one. Be sure not to miss out on all of the other fantastic events taking place at Socrates Sculpture Park during the spring and summer. For a more playful outdoor art installation, head to Governors Island where artist Mark Handforth will be exhibiting works such as Painted Phone. Painted Phone is what Strasnick calls a “cheeky” work by the Miami-based sculptor, in that it depicts a large tree with branches cradling a giant blue telephone receiver. This unexpected installation is part of “Sidewalk Island,” a curated public art exhibition organized by the Trust for Governors Island. For more of Strasnick’s picks, read the entire outdoor art feature at www.artnews.com.